High Class Taste, a three year old son of Taste of Paradise, broke his maiden by 9-1/2 lengths on December 8th at Remington Park. He soundly defeated a field of eight horses. Magic Taste, a five year old son of Taste of Paradise, went from last to first in an Allowance field at Los Alamitos Race Course on Sunday to win a six furlong race under wraps. He was ridden by Hall of Fame Rider, Kent Desormeaux. His next start will most likely be in the G1 Bing Crosby Handicap at Del Mar later this month, a win and you’re in, Breeders Cup Challenge Race. On Tuesday, June 27, Taste Of Paradise had two runners, and two winners. 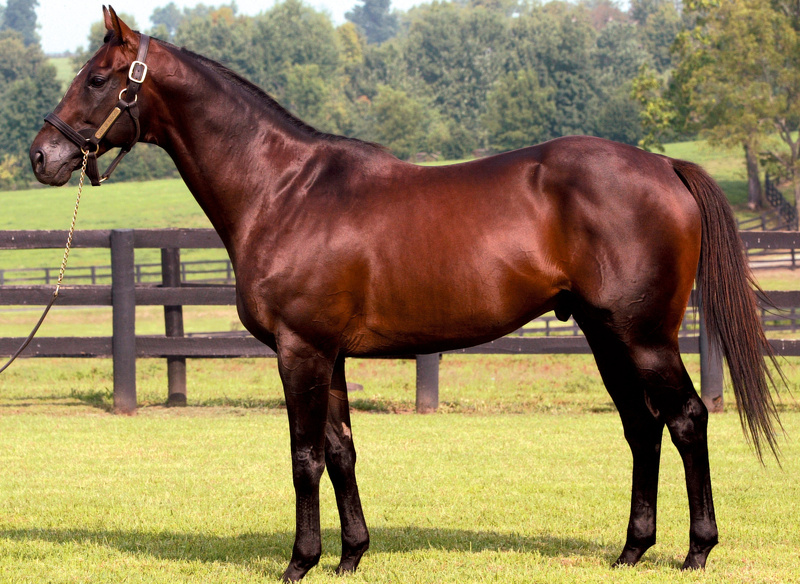 At Fairmount Park, Jochero a three year old son of Taste of Paradise, broke his maiden in a ten horse field. An hour later at Fort Erie, Halo’s Paradise, a three year old daughter of Taste of Paradise, broke her maiden going a 1 1/16 mile in a maiden special weight. Taste of Paradise had two starters on Sunday, April 30, both at Turf Paradise Race Course. In the 7th Race, Perfect Paradise, a 6 year old daughter of Taste of Paradise continued her perfect record for 2017, notching her second victory of the year from two starts, easily defeating a field of seven horses over the 7-1/2 furlong turf course. This was her sixth career victory. In the 10th Race, a 6 furlong sprint, Velocita, a 5 year old daughter of Taste of Paradise prevailed in winning the race over a seven horses field. Praisem, a two year old filly by TASTE OF PARADISE, easily defeated a field of ten horses in her second lifetime start, to break her maiden at Arlington Park on September 22, in a five furlong turf event. Fast Track, a Grade 3 placed son of Taste of Paradise, from his first crop to race, has been retired. The horse concludes his racing career at age nine, he retires 100% sound, with $174,637 in lifetime earnings. He still holds the course/track record for one mile on turf at Turf Paradise, covering the mile distance in 1:34.06, and setting the record at the age of seven. On Friday, May 13th at Santa Anita Park, High Class Taste, a two year old son of Taste of Paradise, ran a game third in a Maiden Special Weight event in the second race. Four races later in the sixth race at Santa Anita, Magic Taste, a four year old son of Taste of Paradise, just missed by a nose, running second in a ten horse field. On Saturday, Daisy N Paradise, a three year old daughter, ran second in a seven horse field at Prairie Meadows. Finally on Sunday, Starmark, a five year old son of Taste of Paradise, capped off the weekend with a dominant win in an eight horse field at Mountaineer. Four starts, a 4-1-2-1 record for the weekend. Taste of Paradise was represented by three starters over the weekend. Taste’s Secret, a three year old multiple stakes placed son of Taste of Paradise, toyed with an eight horse Allowance field at Lone Star Park in his win. The day before, Honey in Paradise, a four year old multiple winning daughter finished second at Sun Ray Park. Finally, a little earlier in the day, Kid Paradise, a six year old multiple winning son, finished second in a race at Arlington Park. A 3-1-2-0 weekend for Taste of Paradise.